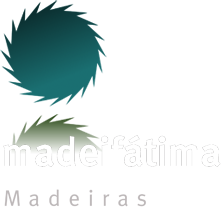 The company Madeifátima - Timber Ltd was started in November 1999, following the change of logo and refurbishment of the premises of the old company "Antonio Goncalves de Oliveira & C ª Lda" in existence since 1985. The company headquarters is located in the town of Valinho of Fatima, Fatima parish, county of Ourém. 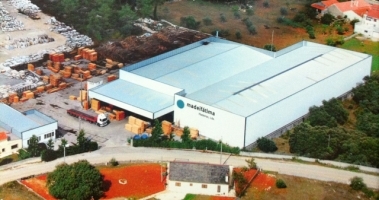 The company's main corporate purpose is Sawing Timber, and the raw material used in the production of wood is pine country (Pinus pinaster), derived mainly from the central region. The total area of the plant is 15,000 m2, and the area is covered de3.500 m2, where they operate manufacturing facilities and social. Over the years the company has consolidated its position in the domestic market in the construction sector and furniture sector. In the international market, the production of pallets and containers in which a company is already reference. The company has made several investments and acquisitions of machinery in order tobe able to present a final product of high quality. The company has installed three greenhouses to dry timber with a capacity to treat 100m3. The company is registered and authorized with the number 2991 by DGADR(Directorate General for Agriculture and Rural Development) and is therefore qualified to perform the treatment plant according to the International Standard for Phytosanitary Measures No. 15 FAO - ISPM No. 15.